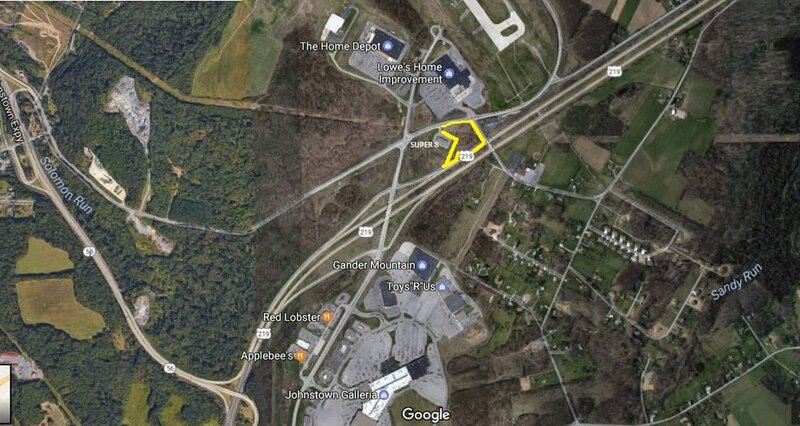 629 Solomon Run Rd Johnstown 15904 - Sale Price $199,000 - Make offers, Seller is entertaining ALL offers! Great location and visibility located at the Galleria exit by Lowes, Home Depot & Super 8. Development tract with "all utilities to the site including storm retention."